Coorg	The Windflower Resort And Spa Or Similar	03Any transport to / from Bengaluru. Your tour price starts Ex Bengaluru. 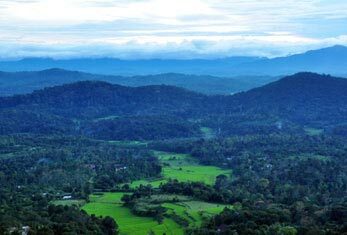 Welcome to Coorg - an unforgettable holiday destination. On arrival at the airport / railway station in Bengaluru, you will be transferred to your hotel in Coorg. It has mesmerizing mountain ranges all over with luscious greenery and the tranquil waters of the Cauvery River flowing through the hilly area. 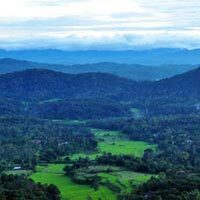 Also referred to as the Scotland of India, it is known for its beautiful coffee, tea, and cardamom plantations. Lord Shiva Omkareshwara Temple - Built by Lingarajendra II in 1820 in Mumammadan style of architecture with a dome in the center and four turrets at four corners. There is a pool in front of the temple with tons of fresh water fishes in it. The temple has four minarets around it and a dome in the center. Madikeri Fort - Built in the last quarter of the 17th century by Muddu Raja. Originally made of mud, this fort was rebuilt in granite by Tippu Sultan, who rechristened it as Jaffarabad. The strong fort of Mercara explains the tale of bravery and battle. The two-storied lofty and spacious structure is 110 feet long. The British renovated the structure twice and in 1933, a clock tower and a portico to park the commissioner's car were added. This temple also forms one of the major temples list competing for Madikeri Dasara festival. Abbey Falls - You can witness gushing and roaring beauty of the water cascading over rocks into calm pools and Raja's seat which is a small pavilion with a garden surrounding it, offering a view of the green valley below. On your own. Today, bid farewell to your 'Romantic Getaway - Coorg' tour as you are transferred to the airport / railway station in Bengaluru for your onward journey. Any transport to / from Bengaluru. Your tour price starts Ex Bengaluru. Rates Valid for Romantic Getaway - Coorg Show All | Close All Ex - Bengaluru Valid From - 01 April, 2016 Valid To - 28 September, 2016 Deluxe Per Person on Twin Sharing Basis	34049.00 Notes Arrival into and departure from Bengaluru would be on your own arrangements. 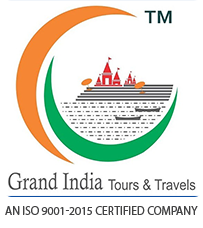 Please contact our sales staff to give you best flight deals. Shopping will be on your own arrangements. Do carry comfortable walking shoes. On Day 01, Lunch will be served to guests checking in at the hotel by 1400 hours. All sightseeing is subject to weather conditions, political conditions in the destination. Supplement charges applicable for long weekends and festivals. The above price except Long Week end and Festive/peak Dates. All the prices are for Indian Nationals only, unless specified. The hotel confirmed will be as per the brochure or an alternate hotel of similar category. Travel Insurance, included in our package cost is valid for age group up to 80 years only. For age group beyond 80 years, Rules and Terms and Conditions of the insurance company will apply. The same needs to be checked on case to case basis with the insurance company. It is mandatory to carry a valid photo identity card (Passport / Driving License / Voter ID card).